The Bluetooth Module supports both wireless and wired control of the AL Priority. If the system detects a loss of the wireless signal from a smartphone, control automatically reverts to the Control Set. Download the ALP Connect app from iTunes or Google App Store. The smartphone app will give you all the functions of the Control Set adding a visual display with voice alerts. 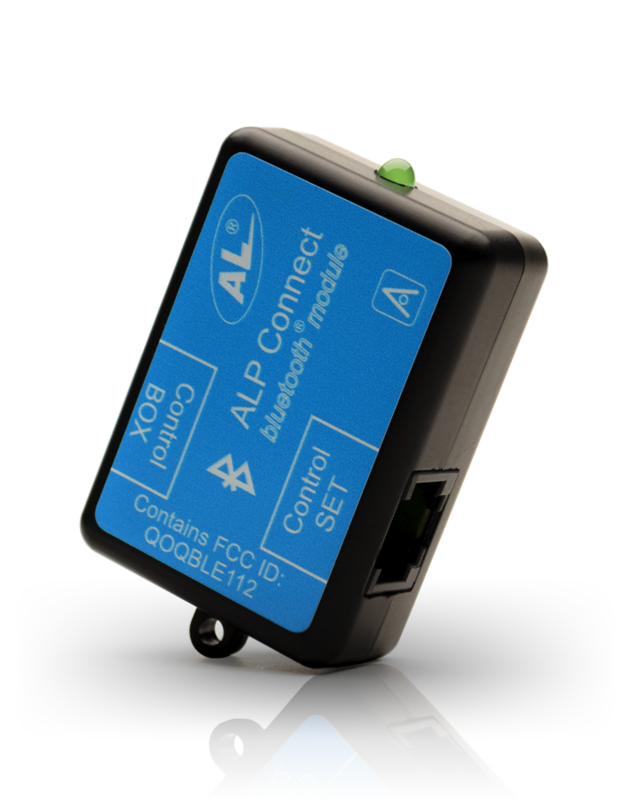 Using ALP Connect you will get Laser alerts with crystal clear voice alerts and if using the Radar Integration you will receive voice alerts and frequency response along with signal graph. Decided to give this a try since you can do more with V2 than V1 was capable of. Living in NJ, I got it in 2 days of ordering it. Set up was sweet and simple. Downloaded the app from the Google store. The app has a learning curve to it. Sometimes you have to go in and manually connect the app to the module, other times it was automatic. Took some time to figure it out but I have it up and running. Perhaps an instruction could be included. I like the fact that if the Bluetooth becomes disconnected that control go right back to the control pad. Overall it's a great addition to the ALP system. Thanks to Tom for his excellent customer service. This module is highly recommended for ALP users! Excellent Bluetooth module, Must have! This bluetooth module works great. It makes it easier to view the version and system information. In addition, you can see all the recent laser hits your ALP encountered with time and date. Well worth having. The AL Bluetooth module allows not only phone-based display and detailed warnings, but also wireless updates. No more downloading config files to jump drives and carrying them back and forth to the car USB port. It's fantastic and reliable. This is a great system. Makes for a very clean install in my 2014 corvette, the AL Priority main unit is hidden under my dash so there is nothing visible in the car. I like that if I don't start the APP on my Iphone the system stays off and only comes on when I want it. With the blue tooth module you can test you AL Priority system by yourself since it has a long range. I gave this 5 stars because of ease of install and works as advertised. The connection is so easy, it's impossible to mess up. The integration is made so easy, with the ALP app from the App Store, it's a nice interface to work with over the plain LED module that's supplied with the original ALP system. Connectivity is super quick, it's bluetooth on, App open, connection, protected. I leave the app on in the background while out, and just shut the BT function off, when I'm back to my truck, it's BT on,and it's back to being protected. ALP BT, is a good choice, for not having a set of wires coming into your cabin space.easy.